President Donald Trump said that he doesn't plan on inviting the Golden State Warriors to the White House this year, but the NBA champs have received another high profile invitation to the nation's capital. House Minority Leader Nancy Pelosi and Democratic Rep. Barbara Lee — who both represent California — invited the players and their families to the Capitol in a letter addressed to the team on Tuesday. ". @Warriors & @SteveKerr, you have once again dazzled America with outstanding performance on the court & inspired leadership off the court," Pelosi tweeted on Tuesday, along with a link to the letter. "@RepBarbaraLee & I would be delighted to welcome you to the Capitol!" The invitation comes days after Trump told reporters ahead of the Golden State Warriors vs. Cleveland Cavaliers game on Friday that he does not plan on inviting either team to the White House if they win. 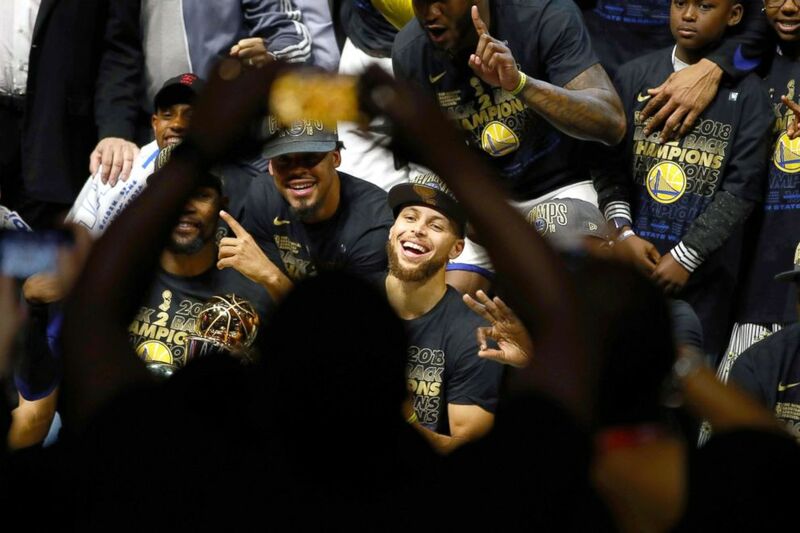 ABC News has reached out to the Warriors, who won this year's championship Friday, but a request for comment was not returned. NBA Commissioner Adam Silver said on Friday that his reaction to Trump's decision was "one of sadness." Stephen Curry #30 of the Golden State Warriors celebrates with the Larry O'Brien Trophy after defeating the Cleveland Cavaliers during Game Four of the 2018 NBA Finals at Quicken Loans Arena, June 8, 2018, in Cleveland, Ohio. "I didn't invite them. No, I didn't invite Lebron James, and I didn't invite Steph Curry," Trump said after a reporter pointed out to the president that the star players, who have both been fiercely critical of Trump, said they wouldn't attend the visit. "We're not going to invite either team, but we have other teams that are coming," adding that he does plan on inviting this year's NHL champs, The Washington Capitals. "If they want to be here — it's the greatest place on Earth — I'm here. If they don't want to be here, I don't want them." For many sports champions in the U.S., an invite to the White House — a tradition that at least dates back to the 1960s — had often been an honor. However, sometimes players have elected not to join their teammates, often citing scheduling conflicts. But in the age of Trump — who has feuded publicly with several high profile athletes and coaches, including Kerr — several players have cited their opposition to the president as their reason for skipping the visit. Last year Trump rescinded his invitation to the Warriors, who were also the 2017 champs, following a Twitter feud with Curry, which also prompted a response from James. 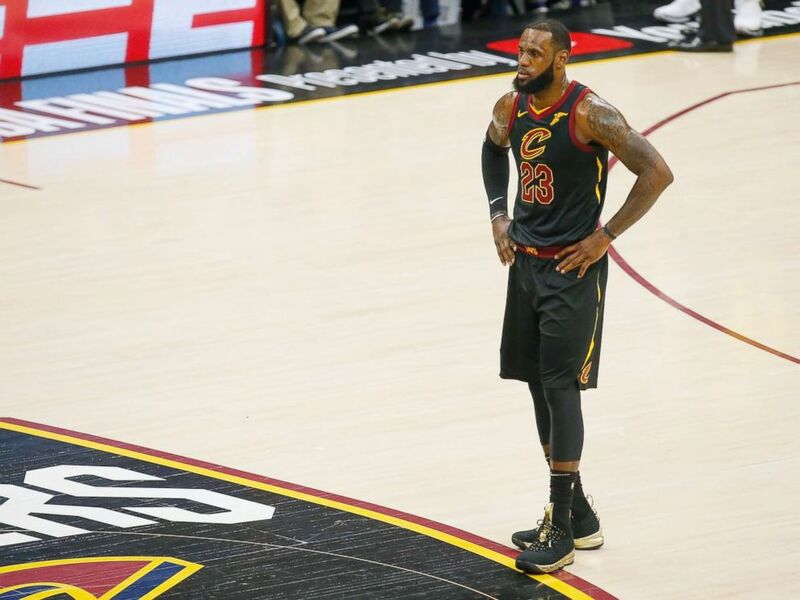 LeBron James #23 of the Cleveland Cavaliers reacts against the Golden State Warriors during Game Four of the 2018 NBA Finals at Quicken Loans Arena on June 8, 2018 in Cleveland, Ohio. Curry, who was outraged by Trump's comments that NFL owners should fire players who take a knee during the national anthem to protest racism at the time, told reporters that he won't be visiting the White House. "Going to the White House is considered a great honor for a championship team," Trump tweeted. Stephen Curry is hesitating, therefore invitation is withdrawn!" James, the star player for the Cavaliers, chimed in tweeting, "U bum @StephenCurry30 already said he ain't going! So therefore ain't no invite. Going to White House was a great honor until you showed up!"